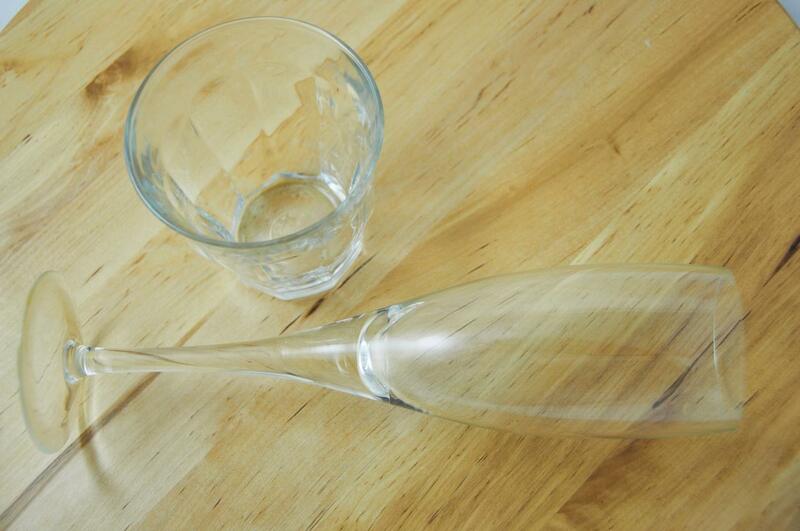 Some drinking glasses are very fragile, but fragility does not have to be a bad thing. I think most people will prefer a fragile but thin and beautiful champagne glass for over a heavy, robust one. Thin glass just suits champagne better. A fat, fruity Barolo will go better in a thicker, more robust glass. But both the thick, more robust glass, and the thin fragile glass share a property: There is no way you can make them stronger once they have been cast or blown. In fact, since glass is an amorphous solid material, it tends to become more fragile over time. Vibrations of the molecules in the material will eventually distort the structure, making it weaker. 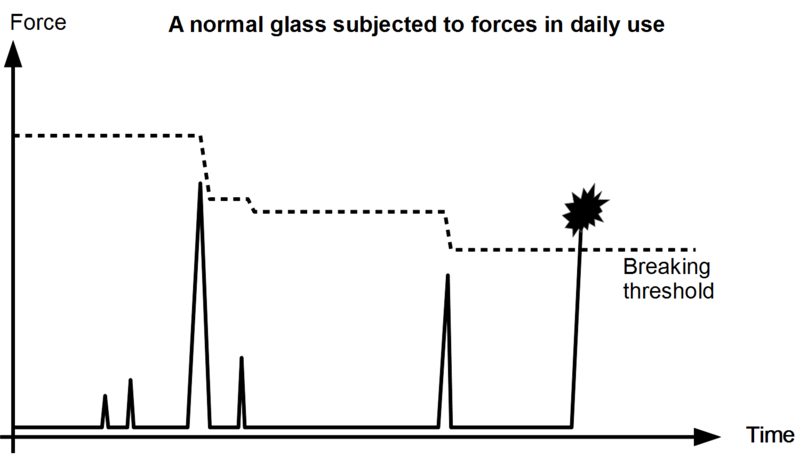 The diagram below illustrate how a glass subjected to daily use over a period of time can eventually break when force it is subjected to exceeds the ”breakting threshold” of the weakest point in the glass. The threshold is the maximum force the glass can take before it breaks, and in the case with the fragile champagne glass, the threshold decreases over time: The glass is becoming more fragile with age. Now, let’s imagine that science discovers a way to strengthen molecular bindings in amorphous materials by vibration. Lets say, we can somehow convert the kenetic energy in vibrations of molecules into potential energy in the intramolecular bindings. The effect would be that we could make a type of glass, which gets stronger with use. Note that this does not mean that the glass has become unbreakable. The only thing that has changed is that the curve illustrating the strength of the glass has changed from going downwards to going upwards and the forces the glass is subjected to during daily use no longer crosses that curve. The term ‘antifragility’ is new, invented by Nassim Taleb and first used in a publication in the appendix to the second edition of his book The Black Swan. Taleb says antifragility is a property of the oganic and the complex. Human bones are antifragile: Children’s bones are in fact quite fragile and grow stronger with use. But if you sit down (or live in weightlessness), they become fragile. That does not mean that bones can’t break – of course they can break. But like the imaginary antifragile glass above, bones of a well trained person are just able to take a lot more “beating” before they do so. Dead things like champagne glasses, washing machines, computers and their software are inherently fragile and unless someone incorporates something which can implement the feedback of use into strength. Similarly, adding complex, but still ordinary software to a system cannot make it antifragile, nor will any special kinds of tools used in the development of it make neither the project, nor the product, antifragile. Thanks to Jesper L. Ottosen for very reviewing this blog post. A robust glass and a fragile glass. Neither of these are antifragile. 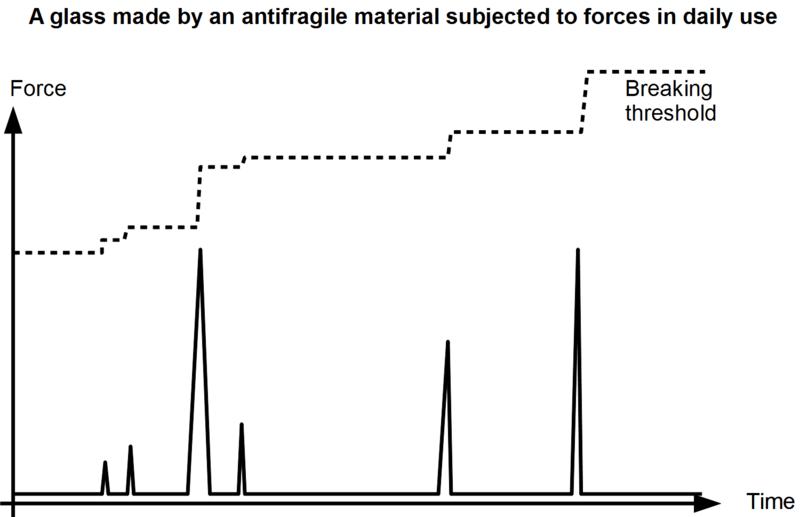 Forrige Previous post: Antifragility by Testing?